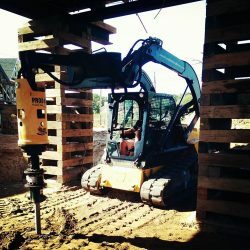 Helical Pilings - Learn About Helical Pile Installation And More | Payne Construction Services, Inc.
Helical pile foundation systems are economical alternatives to wood and steel driven piles or concrete caissons. 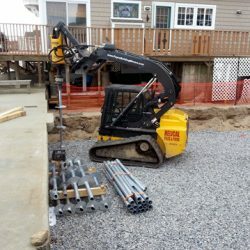 Though you may be new to this deep foundation method, rest assured that Payne Construction Services knows this installation process well. 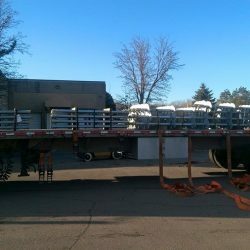 We have earned the professional certification required to install helicals safely and effectively and can install them to your greatest advantage. 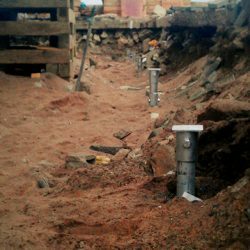 Helical piles are sometimes also referred to as, helical anchors, helicals, screw piles, or earth anchors. 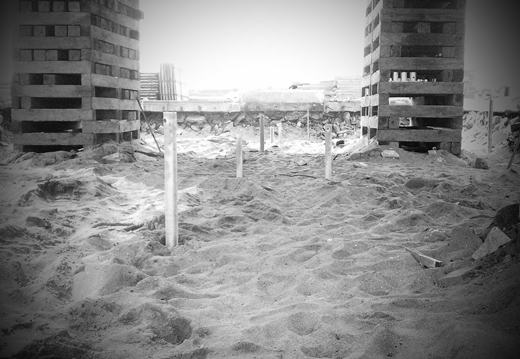 They are often a more sensible and more reliable alternative to shallow footing and reinforced mat foundations. 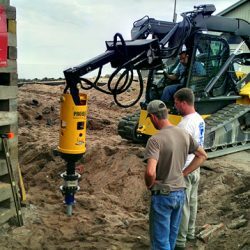 Round shaft helical piles are “screwed” into the ground using a hydraulic torque motor that is attached to numerous applications varying in size. 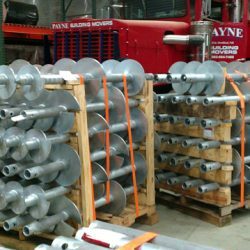 The “lead,” or first section of pipe, is designed with one or more helical blades/helixes that are welded to the shaft. 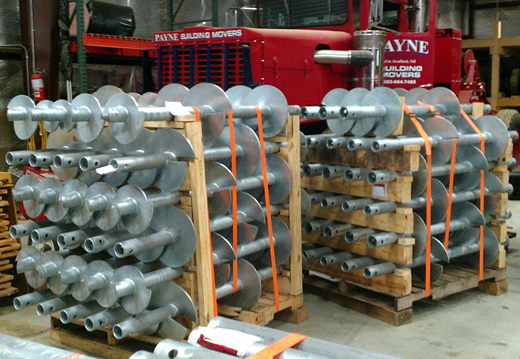 Depending on soil conditions and content, more helical blades may be added with an engineered dual cutting edge. 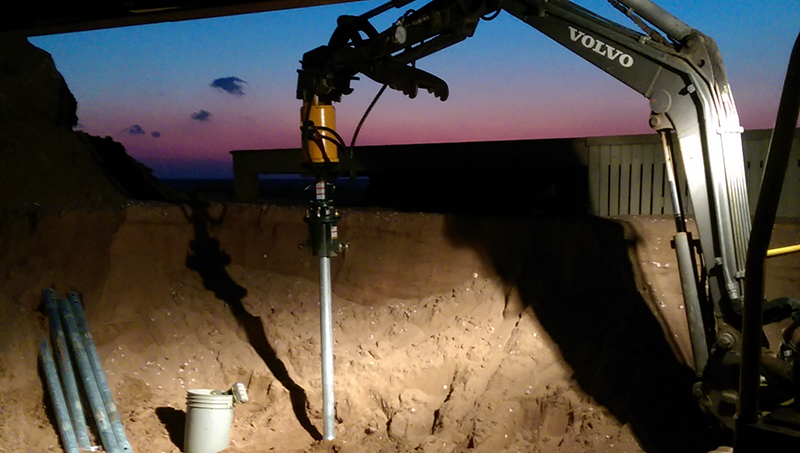 As the lead penetrates the earth’s surface, each blade cuts its way downward into the soil, increasing torque as it anchors into the earth. 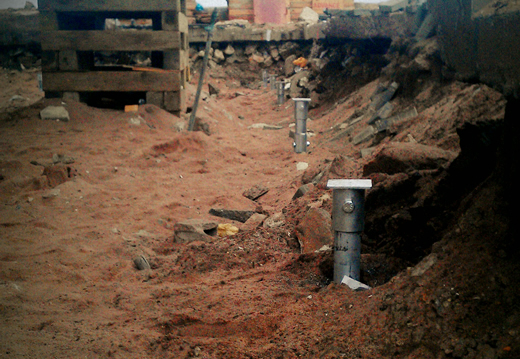 Additional extensions are added to the lead section until the desired pile depth and torque rating are achieved. 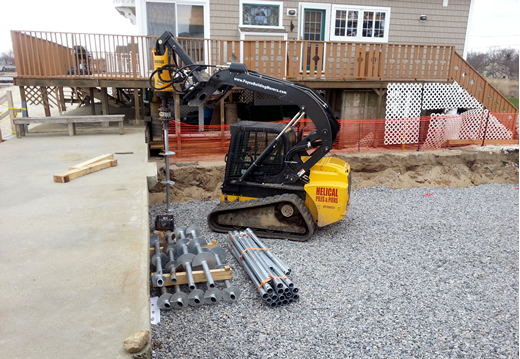 Soil Spoils, No Vibrations, No Heavy Equipment! 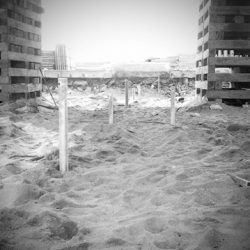 Unlike the typical heavy duty equipment and processes required to install wooden piling or other deep foundations, helical piles don’t create soil spoils that must be removed or distributed within the job site. 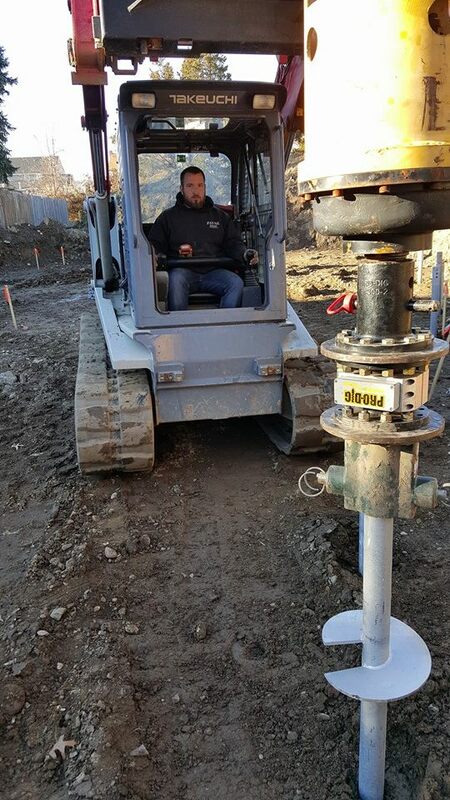 The installation equipment is small and easily maneuverable and doesn’t create vibrations that could disrupt the soil or other surrounding structures. 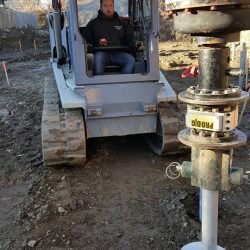 Helical piles anchors can be installed in just about any type of weather situation, so the frost of winter won’t hold us back nor will the heat in the summer. 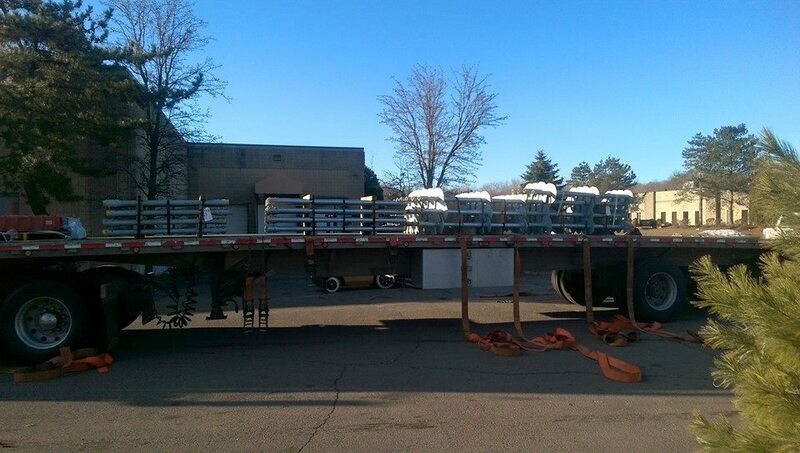 Pre-Engineered System: Capacity-to-torque ratio produces completely predictable installation results. 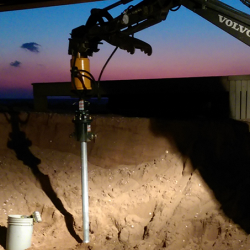 Upon installation we have a state-of-the-art wireless helical torque monitoring system that can monitor the amount of torque being driven into the ground from the main lead by +/-.0.25%. 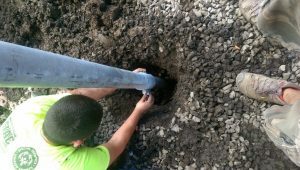 This wireless device can also measure the angle and depth of the helicals as they are screwed into the soil. 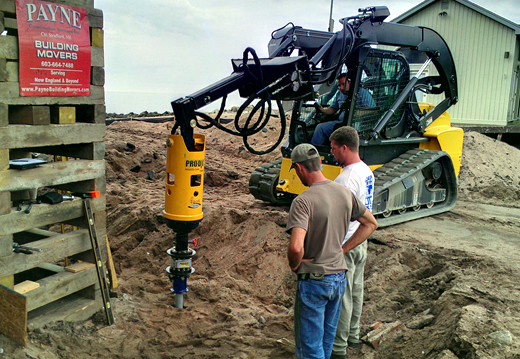 Our pro-dig intelli-torque is equipped with data-logging software that records the information and can also be exported to third party software for an analysis.